Mr. Oizo! The start of a 5 day celebration of all things French, all things beardy, all things glitch, all things messed up.... why it's the first day of Oizo Week of course! It is long overdue over here in the .acdx camp. So what can we expect this week I hear you say? Well, this post today is an introduction and a review of the brilliant (no don't worry, I am gonna go more in depth) Rubber EP. 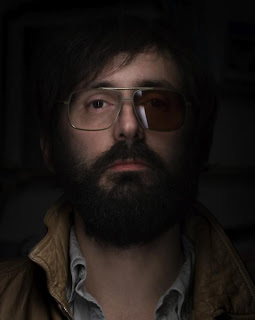 You can also expect a post with Oizo's story, a post on the brilliant back catalogue of music from his humble beginnings making hip hop electronica all the way through to the fucked up electro we hear today (including the sax samples of course). I will also be talking about the films of Oizo and I will finish off with some of my favourite Oizo tracks and showcase some of my Oizo inspired art. I do hope that this week will run smoother than the DFA Week but I'm gonna try and go all out for this one because Oizo is by far my favourite from the Ed Banger camp (sorry SO ME) and my favourite producers today. So please join me and I hope you enjoy this coming week, wether you are a Oizo fan or you want to try something new. So what inspired me to have Oizo Week? Well, it's been a long time coming my friends. Mr. Oizo is probably one of my favourite people in the whole world. He is an amazing producer, giving a massive middle finger to conventional dance music and creating his own brand of anti dancefloor yet dancefloor friendly music (work that one out). He is also an amazing film producer and I am looking forward to Rubber (but we will leave the films for another post this week). He is just an amazing person. 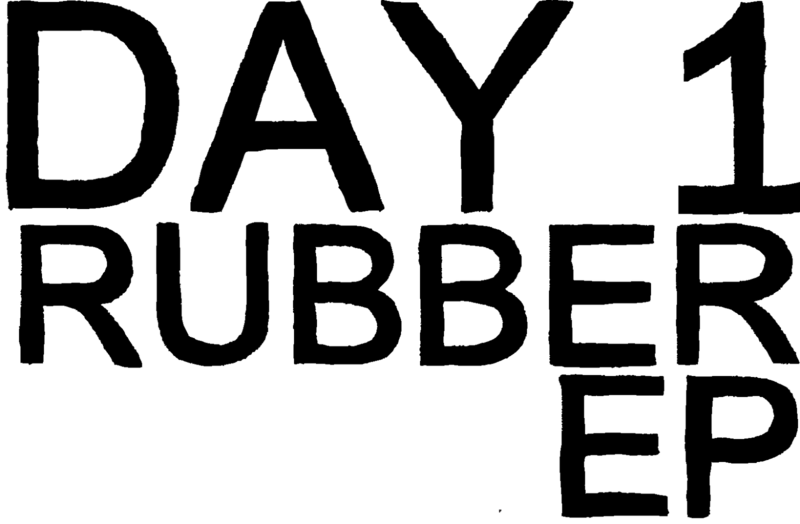 I just think it is time for me to show my appreciation to someone who has provided me (and still is) with so much entertainment. Now on to the post! 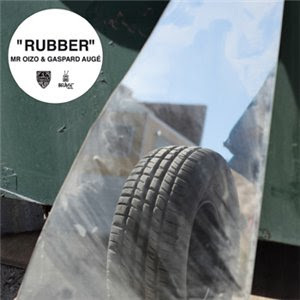 To kick off I am going to review the highly anticipated EP from Mr. Oizo and Gapard Auge (mmmmm what a combo!). We have been waiting for Rubber for a long time. It looks like an amazing film and it looks even more amazing that Dupieux and Auge are on soundtrack duty. The Rubber EP is out soon and I managed to find a copy of it (I am fully intending to buy it so shh!) online and had to listen. The EP contains the tracks Rubber, Polocaust, Tricycle Express and a Flying Lotus remix of the title track. I am guessing Polocaust and Tricycle Express are taken from the full soundtrack, if not, it just shows what we can expect from the full release. So there you have it, day 1 over. Please join me for the rest of the week as the posts will be a lot better (wow I have written a lot today). I just thought I would share my thoughts on the EP and share with you the song that isn't the best from the EP but the most interesting one. I urge you to download the EP for yourself and buy it when it's released.